This product has been discontinued. Recommended replacement is 999-99950-700 ConferenceSHOT AV Bundle - CeilingMIC 2 (without speaker). See complete notification in Documentation tab. 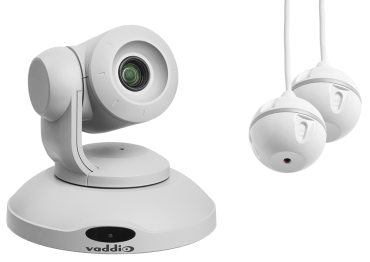 Last Time Purchase Orders: Must be received by Vaddio, no later than February 1, 2019. Orders will be filled on a first come, first serve basis, while supplies last. Last Delivery Date: Scheduled delivery must take place no later than Feb 28, 2019. 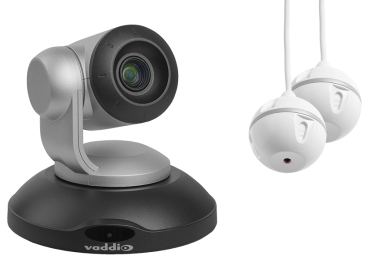 USB collaboration ideal for medium sized videoconferencing rooms. 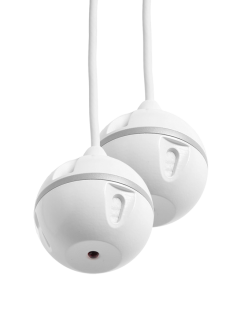 The ConferenceSHOT AV Integrator 2 (without speaker) Bundle includes one ConferenceSHOT AV and two EasyMIC Ceiling MicPODs for easy integration into in-room/third-party speaker systems. 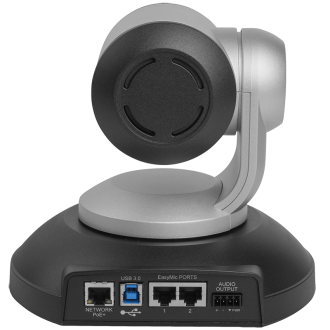 ConferenceSHOT AV integrates a 10X zoom PTZ camera and audio conferencing mixer into a single USB 3.0 device, so you can easily connect microphone and external speaker to the camera. 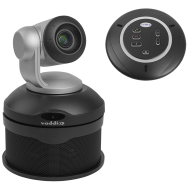 The Integrator 2 (without speaker) Bundle is easy to install and allows simple plug and play functionality with all major UCC soft clients such as Skype for Business, WebEx and Google. 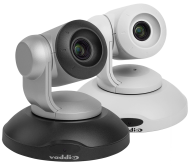 ConferenceSHOT AV allows for remote monitoring, management and control of a distributed camera network. IP-accessible and a built-in Web server enables both browser control and IP-live preview and setup from PCs, Macs and mobile devices including iPhone, iPad and Android devices. 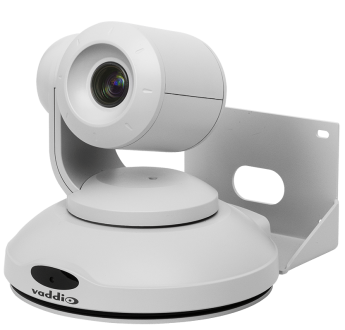 ConferenceSHOT AV turns your BYOD device into a small space UC system with professional PTZ camera quality and full room audio performance. 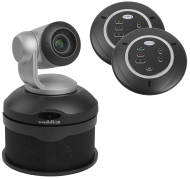 It’s a significant step up in performance from the current webcam based technology offerings.